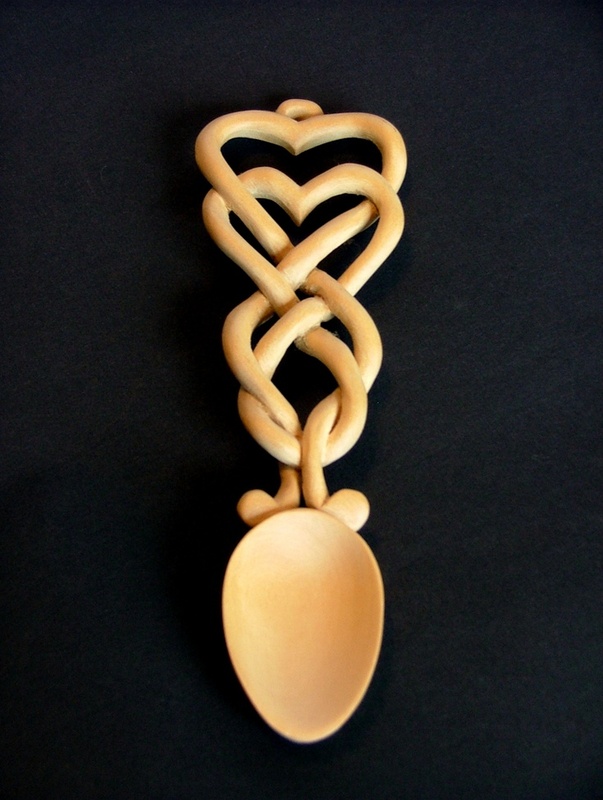 The carving of Love Spoons is a centuries old tradition in Wales. Young men use to lovingly carve a spoon from one piece of wood that was traditionally presented as a gift of romantic intent. Symbols of love such as hearts, Celtic knotwork, bells and horseshoes were intricately carved to create a beautiful and lasting memento.